Last week on November 11th, KellyMitchell received the St. Louis Top 50 Award from the St. Louis Regional Chamber & Growth Association (RCGA). This award celebrates the contribution of companies and their positive impact on the future of St. Louis’ business community and economic growth and development. 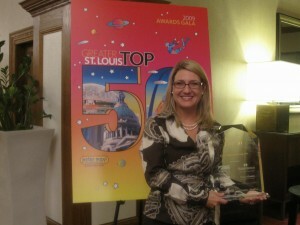 We are proud to be recognized as a recipient of this award for the 5th year in a row!